This is actually the fourth video I’ve made for what is currently being referred to as Catalyst Academy. For now that’s a working title, but hopefully it will stick. 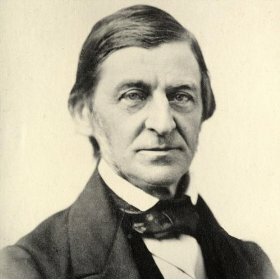 The following lecture is about Ralph Waldo Emerson’s iconic speech The American Scholar. I absolutely adore this speech because in it Emerson lays out many of the same ideas I have concerning academics, the role of “scholars” or writers in society, and how people are to behave and act in a republic. This video is also a chance for me to show off my Don Quixote statue and my pathetic attempts at humor. Moderator: Mr. President, do you have time for one more question? Bartlet: I don’t think I answered the last one. Suzanne’s got me telling jokes. Here’s an answer to your question that I don’t think you’re going to like: the current crop of 18-25 year olds is the most politically apathetic generation in American history. In 1972, half of that age group voted. In the last election, 32%. Your generation is considerably less likely than any previous one to write or call public officials, attend rallies, or work on political campaigns. A man once said this, “decisions are made by those who show up.” So are we failing you, or are you failing us? It’s a little of both. But property passes through donation or inheritance to those who do not create it. Gift, in one case, makes it as really the new owner’s, as labor made it the first owner’s: in the other case, of patrimony, the law makes an ownership, which will be valid in each man’s view according to the estimate which he sets on the public tranquility. (561). The question that struck me immediately, and I had to write it down in the margins before I forgot it was this: Do we inherit republic from our parents? And if we do what does that say of us. Both Emerson and Frederick Douglass have attested to the fact that inheritance creates only apathy and laziness which is corruption to the possibility of genius. Emerson notes that when men merely inherit it reduces their ambition, their drive to succeed and make from their land and potential a model of virtue. Now obviously I’m not suggesting that every generation we scrap our democracy and reconstruct a new one, that would only lead to chaos. Instead what I am asking is, are we truly generating citizens that will participate in their democracy, if are we merely allowing the laws and government to be inherited. When I mention politics people tend to glaze over and say they’re not interested in politics. Their concerns lie elsewhere either in television, the internet, sports, and while these are not inherently poisonous to our society’s growth, when people care and spend more of their resources and time to them than they would their government because they can contribute more than they would in political conversation I think that’s a problem. The history of the State sketches in coarse outline the progress of thought, and follows at a distance the delicacy of culture and aspiration. (560). Therefore, all public ends look vague and quixotic beside private ones. (567). I know that discussions of politics are always going to be somewhat uncomfortable, but I cannot, as a patriot and as a believer in republic, simply abandon my principle because I feel defeated. Politics is important because we do inherit democracy, but the nature of the system is such that we can make it out own. Emerson is right in the idea that when human beings merely inherit their property there is little incentive to work with it and make it better. When we’re comfortable, apathy is easy. But the United States government, structured as it is, a piece of land that every year opens up new possibility for growth. We can actively change our government without the need of bloodshed, and this makes us unique and fortunate. Politics reminds the American citizen not to, to quote one of my esteemed professors, dawdle or make light of what we have, but instead to contribute and remake it to fit our own ideas of what governance should be. We can make a difference, but only when we accept that our desires are not quixotic, but full of merit. Man: Governor Bartlet, when you were a member of Congress, you voted against the New England Dairy Farming Compact. That vote hurt me sir. I’m a businessman. That vote hurt me to the tune of maybe, 10 cents a gallon. I voted for you three times for Congress. I voted for you twice for Governor. And I’m here sir, and I’d like to ask you for an explanation. Bartlet: [pause] Yeah, I screwed you on that one. Bartlet: I screwed you. You got hosed. Bartlet: And not just you. A lot of my constituents. I put the hammer to farms in Concord, Salem, Laconia, and Pelham. You guys got rogered but good. Today, for the first time in history, one in five Americans living in poverty are children. One in five children live in the most abject, dangerous, hopeless, backbreaking, gut wrenching poverty, one in five, and they’re children. If fidelity to freedom and democracy is the code of our civic religion then surely, the code of our humanity is faithful service to that unwritten commandment that says ‘We shall give our children better than we ourselves received.’ I voted against the bill ’cause I didn’t want it to be hard for people to buy milk. I stopped some xmoney from flowing into your pocket. If that angers you, if you resent me, I completely respect that. But if you expect anything different from the President of the United States, I suggest you vote for somebody else. Thanks very much. Hope you enjoyed the chicken. Our ideas of governance should not and cannot be inherited, they must be self made. Politics has reminded me why I love Emerson, and why I love the United States. The American Dream may not always come true, but there is still the promise of self made men and women. Just in case you don’t know what Quixotic means, it refers to the novel Don Quixote by Miguel de Cervantes which tells the story of a man who reads many romances, or stories about knights. Don Quixote is an old man, probably insane, and decides to become a knight. He goes on a series of adventures to bring honor and chivalry back to Spain, one of which includes attacking a windmill because he believes is a giant. 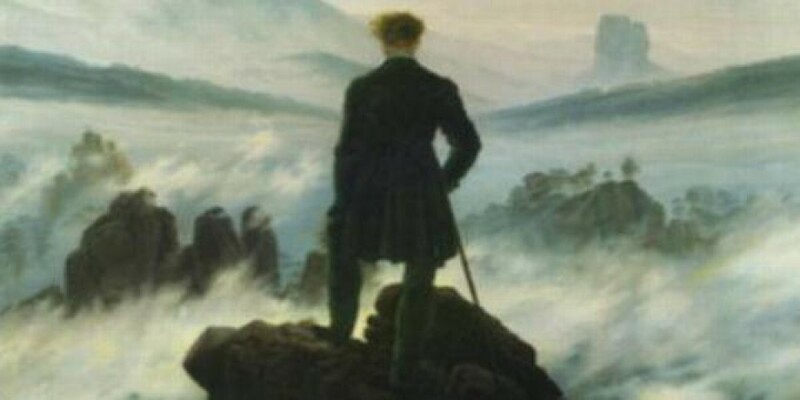 Since the publication of this book the word Quixotic is applied to those individuals that assume an errand that many believe is unrealistic or hopeless. 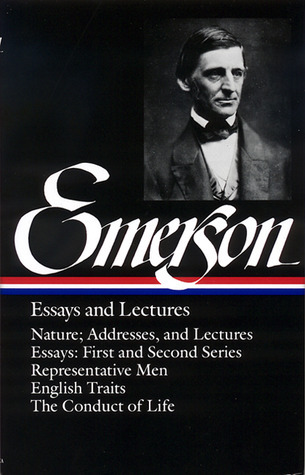 The passages from Emerson were derived from the Library of America Edition.